Amanda: Registered name Amanda Segfried, White/Brindle female 11E-57327 Mandy is a very young girl who will be turning 2 on November 6th. 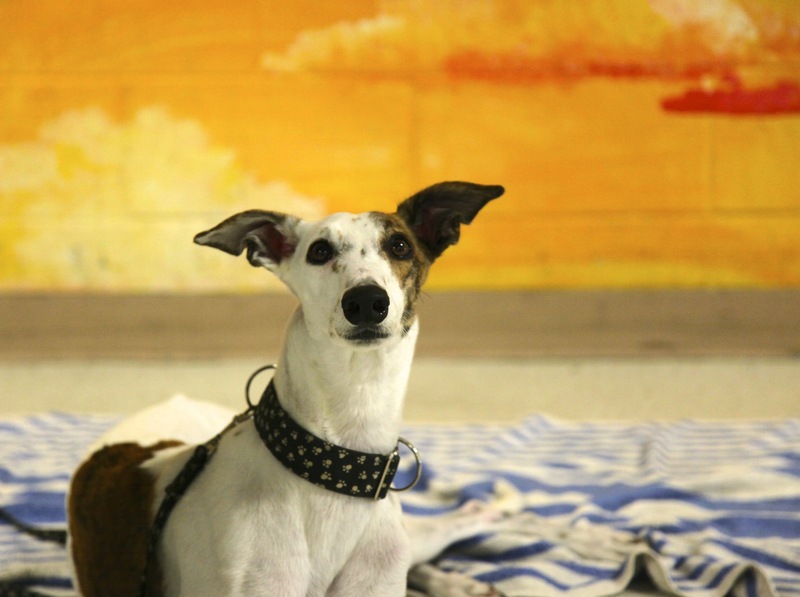 Mandy is a retired racing greyhound who is currently participating in the Greyhound Advancement Center Hardee Hero Hound greyhound and inmate prison training program at Hardee Correctional Institution. Mandy is a pretty little girl who is gentle and loving. Mandy reminds one of a little baby lamb. She loves to play with a ball and follow you around. With the love that you can show her, Mandy will be a faithful friend forever.